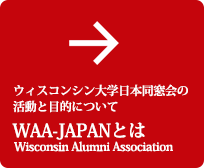 Welcome to the homepage of the Wisconsin Alumni Association of Japan (WAA-Japan). 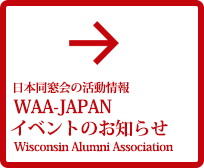 University of Wisconsin alumni in Japan. 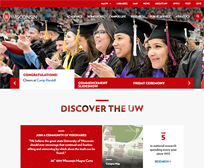 indeed all members of the University of Wisconsin community, going beyond alumni to include students, teachers, researchers, fellows, administrators and employees.